to be on our Board of Directors for next year. 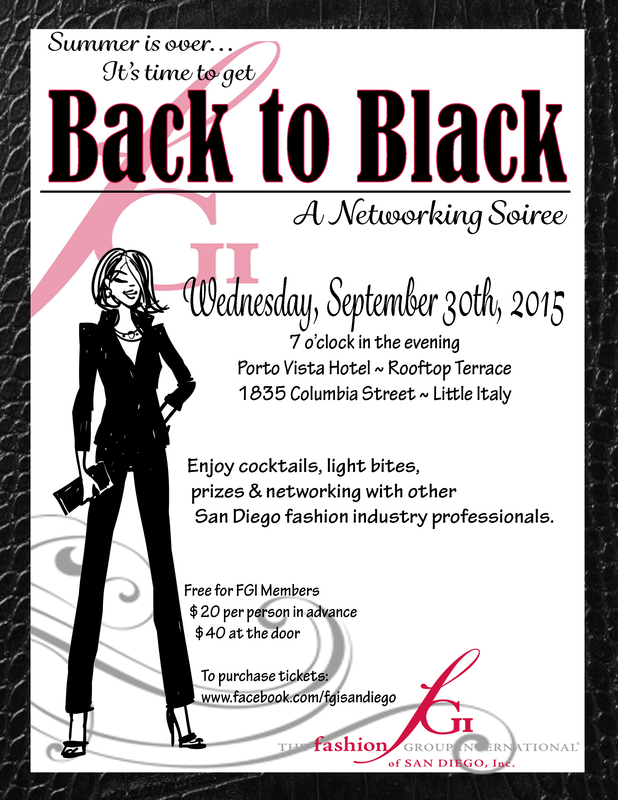 Summer is over, it’s time to get “Back in Black” with FGI San Diego’s “Back in Black Networking Soiree”. Enjoy cocktails, light bites, opportunity drawing prizes and networking with other San Diego fashion industry professionals. Dress in your best fashionably black outfit and bring lots of business cards. Tickets are $20 per person in advance. Are you an FGI member? Then you get in for FREE! You still have to register in advance though! And feel free to invite your friends and colleagues. This networking event is open to the public. 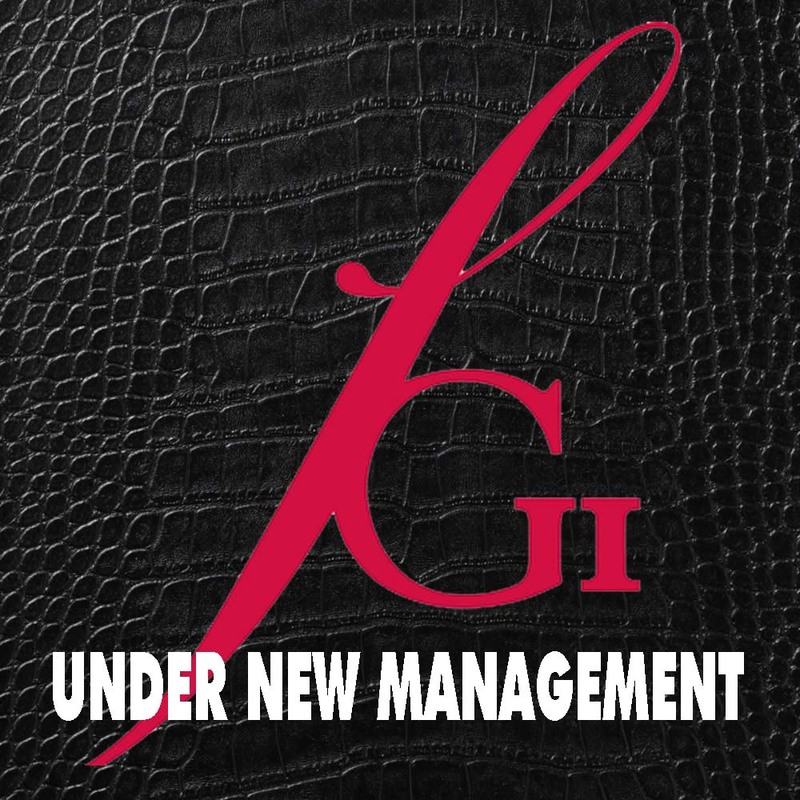 FGI San Diego-Under New Management! Fashion Group International San Diego is very excited to announce that IT’S BACK! And under NEW management! We want to introduce everyone to the utterly fashionable new Regional Director, Mary De. Mary has almost three decades of experience in all of the fashion industry, including designing, manufacturing, management, wardrobe consultation, personal and professional image consultations, as well as the preparation of future fashion professionals through her on-going work as a college professor. Mary began as a fashion designer in Europe and then created her own activewear manufacturing and retailing enterprise, supplying upscale retailers throughout the continent. She’s worked as a custom tailor/personal image consultant in Europe and has continued working as an image consultant and fashion stylist in Chicago and now in San Diego. As an image consultant and fashion stylist, her mission is to use her expertise to empower people to feel confident and pursue their dreams. She feels this way about her styling business, where she helps clients embrace their distinct personality, appearance, lifestyle and aspirations, and she feels the same can be done with FGI San Diego and the diverse group of fashion professionals and fashion businesses here. Mary has some great things planned for FGI San Diego during her term and hopes to see many past and future members at the upcoming events. Stay tuned to hear more about the events! Always be fashionable! Follow Our Blog! Enter your email address to follow this blog and San Diego Fashion Events by email. All That Glitters is Gold! Gold Tats That Is!